Ecology’s South Gate CRV and scrap metal recycling center is conveniently located just a half mile off the 710 freeway at the Firestone Blvd exit. You’ll find us on Rayo Avenue, which is just between Firestone Blvd and Atlantic Ave. You can also reach us from the 105 Freeway by heading north on Atlantic Ave. This particular center was previously known as California Metals Recycling. Serving the entire South Gate area including East Los Angeles cities, Ecology’s South Gate CRV and scrap metal recycling center serves residents and businesses in Downey, Huntington Park, Lynwood, Compton, Paramount, Bellflower, Walnut Park, Bell Gardens, Willowbrook, West Rancho Dominguez, Gardena, Hawthorne, Inglewood and Lawndale. Our nearby center in Santa Fe Springs may also be convenient for residents in this area. Our center in South Gate is dedicated to supporting individuals, families, businesses and industries in the South Gate area in their recycling efforts. Through our recycling center, we play an important role in South Gate’s waste management system. By recycling, residents and businesses can avoid the placement of recyclable materials in landfills and incinerators where they will be left unused. By bringing your recyclables and scrap metal to our South Gate recycling center, we are able to recycle and reclaim materials and make a brighter, greener future. Recycling is an important part of caring for the planet. While some are motivated to take in their recycling to earn a few extra dollars, or because they don’t have any other way of disposing of old appliances, the action of recycling can really make an impact. How? Pollution and contamination are greatly reduced through recycling. When materials like metals are recycled, the need to obtain new manufacturing inputs are reduced or even eliminated. That means less mining, which uses equipment that makes heavy use of water and fossil fuels. The energy costs for items manufactured or processed with recycling are lower than what’s required for making products with only new inputs. But, in order to truly make a difference, everyone has to participate in recycling. If we can all responsibly dispose of recyclable materials such as CRV items and scrap metal, it will make a huge difference in the sustainability of our planet. CRV stands for California Refund Value. 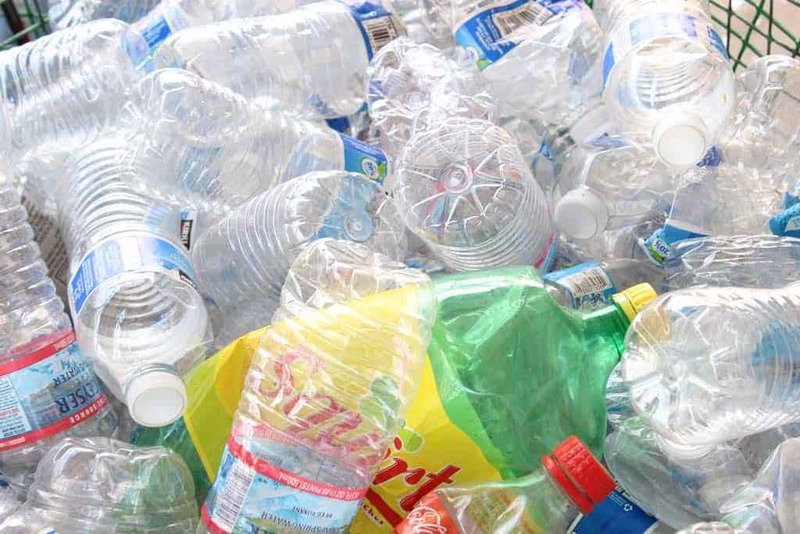 It’s a program that was created to encourage consumers to recycle. How does it work? When you pay for a product packed in a CRV package, you pay a small CRV fee. This fee is then returned to you when you take the empty package into a certified recycling center. Most packaging purchased by consumers are CRV items. Some examples include juice, beer and soda cans, vegetable juice cans, wine and beer bottles and more. If you save up your CRV items, you may be paid a decent amount when you take them in to the recycling center. However, it’s important to remember that recycling isn’t just about economic compensation, you’re also being a responsible citizen helping with the preservation of the planet. We buy all CRV items which include aluminum cans, plastic and glass. Please be sure to rinse and dry all of the containers before bringing them in. Scrap metal can be an old appliance, pipes, structural steel and more. Although residences don’t typically produce a lot of scrap metal, you may find some during a renovation or when you replace old appliances. The majority of scrap metal comes from industry, old cars or factories. All scrap metal that comes into any recycling facility is divided into ferrous and non-ferrous metals. At our South Gate CRV and scrap metal recycling center, we purchase both types of scrap metal. Ferrous metals contain iron or steel. These metals are different because they are nearly always magnetic. Some common examples of ferrous metals include vehicle scrap, demolition site scrap, old appliances, metal offsets and structural steel, manufacturing scrap and more. The other type of scrap metal is non-ferrous metals which are known for being more valuable than ferrous metals. Most people have heard of the most common non-ferrous metals which include aluminum, copper, stainless steel and brass. These metals can be found in construction where they are used as window frames, pipes and plumbing fixtures. Other sources of non-ferrous metals include bicycles, cars, wires, appliances and kitchenware. Stainless steel is included in this category because it contains nickel, and although it contains steel, it is not magnetic. Ecology’s South Gate CRV and scrap metal recycling center purchases a wide variety of scrap metals including: aluminum, iron, steel, copper, brass, and tin. At our South Gate CRV and scrap metal recycling center, we strive to serve this great metropolitan area with the highest quality service. Our center is designed to be easy to use and efficient. Dropping off recyclables with us is simple. We quickly help you categorize your items, weigh or count them and provide you with your payment. We also offer roll-off bins in a variety of sizes to help you recycle your CRV items and scrap metal more easily. These are ideal for businesses and industries that produce a large amount of CRV and scrap metals. 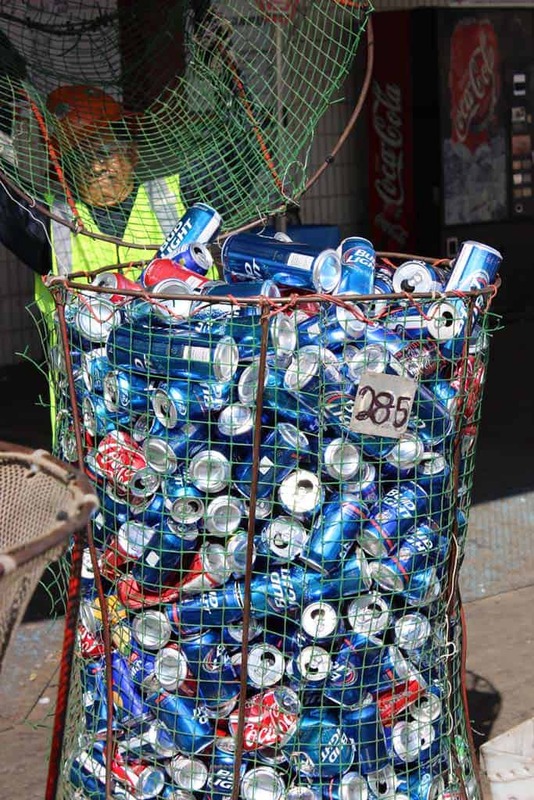 South Gate is part of a large metropolitan area, where it is even more essential to recycle. In these densely populated areas, waste management must focus on separating recyclables in order to be able to process the large amounts of trash produced. It is our hope that through our South Gate CRV and scrap metal recycling center we can help be part of the solution for responsible waste management. Feel free to contact us with any questions you have about your recyclable items. Our friendly staff are always ready to help. We encourage you to start collecting your CRV and scrap metal items today! We’ll be ready to receive them at our South Gate facility during our regular hours. Welcome to our South Gate CRV and Scrap Metal Recycling location!